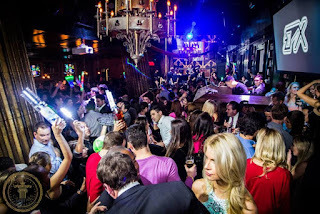 Nightclub Supplies USA's newest model to our VIP bottle Service Presenter line. Carry your Champagne, alcohol, Liquor bottles for Bottle Service Delivery in style. 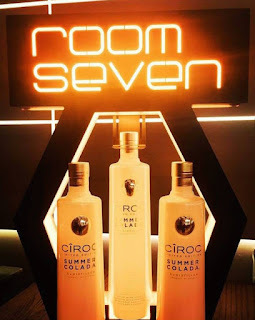 Next time you are looking for a Bottle Service presentation piece for your Nightclub, Lounge, restaurant, bar, or Venue that really attracts attention and can be used for multiple events. Take a look at our UNIVERSAL "BANNER TOP" BOTTLE PRESENTER for your VIP CHAMPAGNE BOTTLE SERVICE DELIVERY PRESENTATION. One of Nightclub Supplies USA's newest in VIP Champagne and Bottle Service delivery Tray Presenter tray is the Universal 750 ML. 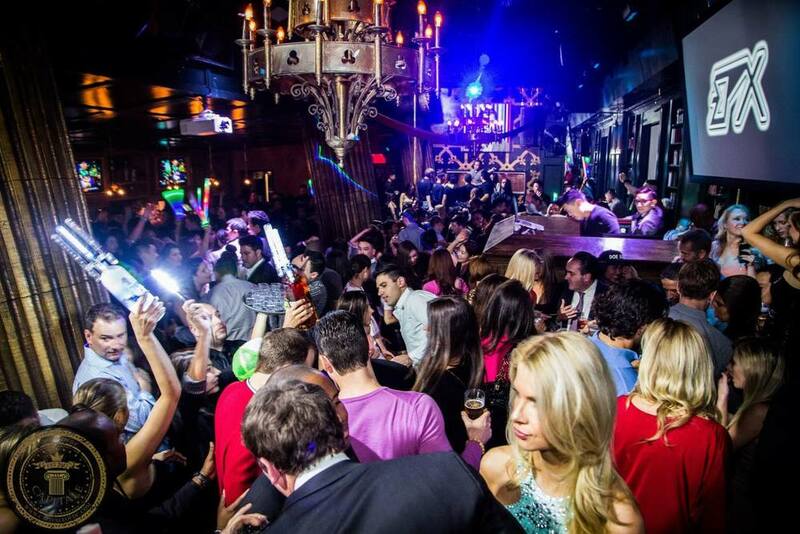 Banner Top "Name Changer"bottle Service presenter piece. It highlights whatever bottle you are carrying by securing it on the bottom and top so that it stays firmly on the tray. It is our largest custom bottle presenter that we have. 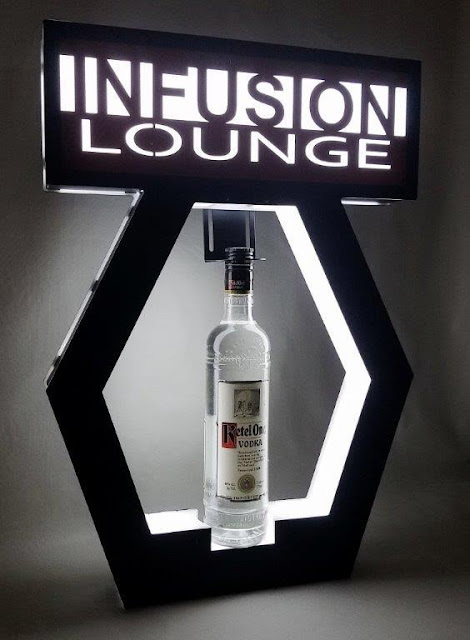 With its Letter Box Sign on top, it makes it interchangeable using a Banner top Art made with Luminescent Translucent material that is color printed with your Logo so you can use it at different events, occasions, clubs, venues and more..
Our tray is Made of powder coated steel for long life and durability. 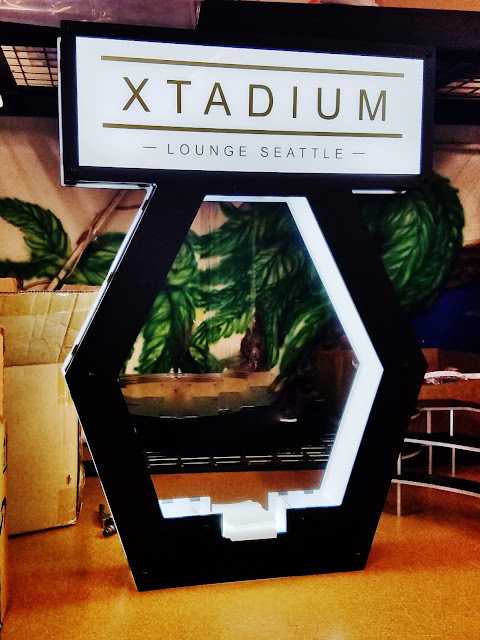 It is also custom detailed inside and outside with Acrylic, as well as a large Banner Top acrylic illuminated window sign that lights up your Branding, Logo, Event info, or Message. 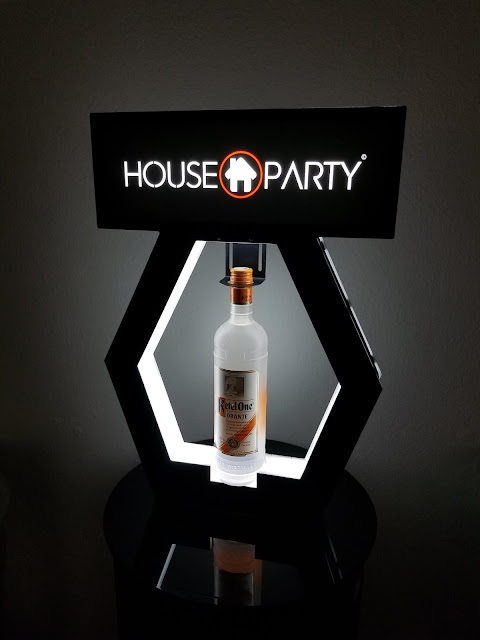 This Bottle Service Presentation Piece is Powered with a rechargeable battery, it includes a charger as well as a wireless remote control. 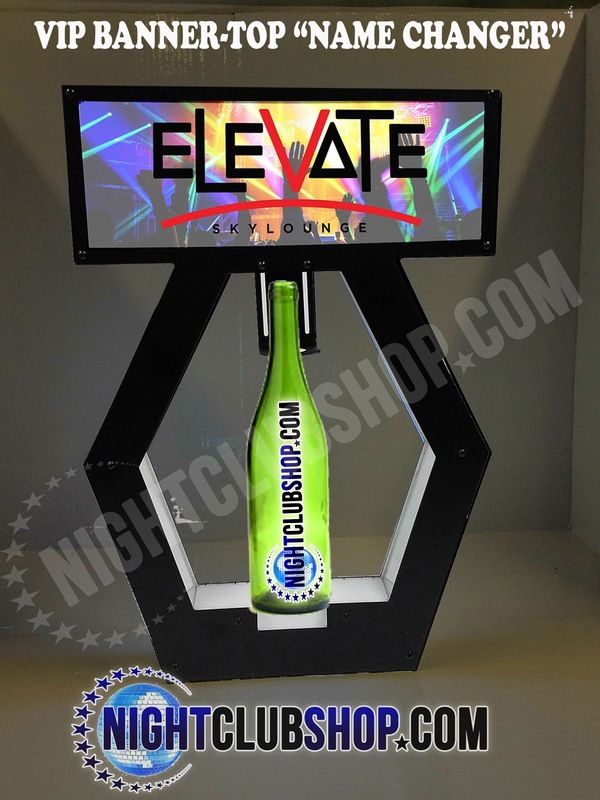 The Wireless remote control, controls the Light up sides and top of the Bottle Service delivery tray presenter, giving you full control with many on/off, flash,fade, brightness features as well as many single color or multi-color RGB combinations if needed. Have 1 banner 1 day then the next day something else.. It is easy as that!! Nightclub Supplies USA's Exclusive VIP BANNER TOP PRESENTER - "Interchangeable Banner Top Print" awesome NEW VERSION now comes with 14,000 Color Combinations and many Flashing/Fade/Auto and many more features. Has Re-Chargeable battery, Wireless remote, it fits many bottle sizes or Bottle base can be custom made and cut with your preferred Champagne or Liquor size Bottle dimensions. The VIP Interchangeable banner TOP Print is the best feature for Bottle Service Delivery Presentation. It allows you to change the entire look and hype/message/promo of this presenter by easily changing out the ART and PRINT in under 15 seconds. 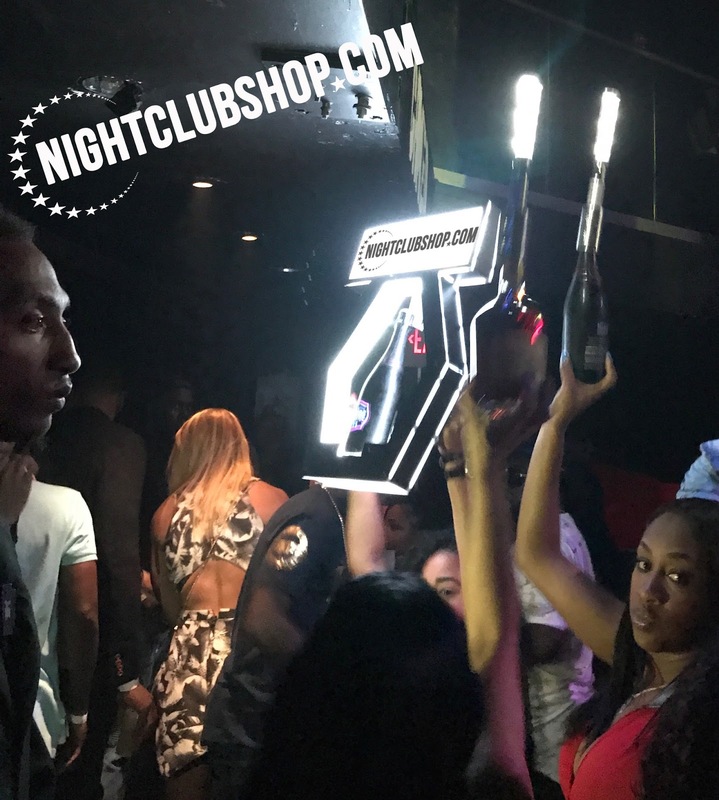 This VIP Banner Top "Name Changer" Bottle service delivery tray, or Bottle Presenter, Bottle Carrier, Bottle Holder, Champagne Presentation Piece, Has an added benefit That makes this bottle service presenter one of our most versatile units for small, medium, and large sized venues. Our name changer feature allows you to instantly change the translucent banner top print as many times as you need to throughout the season, month, holiday, special event or even several times per night and per event. Normally It comes with 2 translucent VIP banner top prints, For example one with your logo large and 1 with your logo that says "Happy Birthday" or "BALLER IN THE BUILDING". these translucent banner top prints with our partner printing companies in the area. 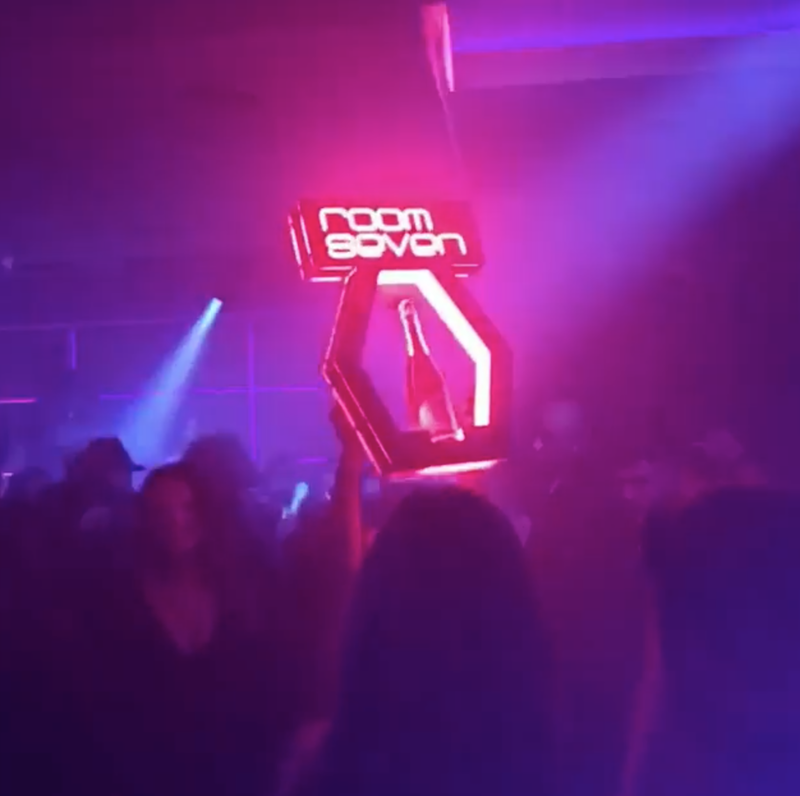 So once you own the unit you can start collecting them for every holiday, every show, Every different themed night, And some Venues actually take it to the Ultimate VIP experience by providing custom VIP BannerTop Prints for their VIP customers. The possibilities for this VIP experience presenter are endless, this is not only a "Name Changer" this could also be well considered a "Game Changer" for your VIP champagne bottle service delivery runs and the Ultimate VIP experience for your patrons and VIP customers. And order your Custom Bottle Service Items today!!! Check us out, over 400 products! 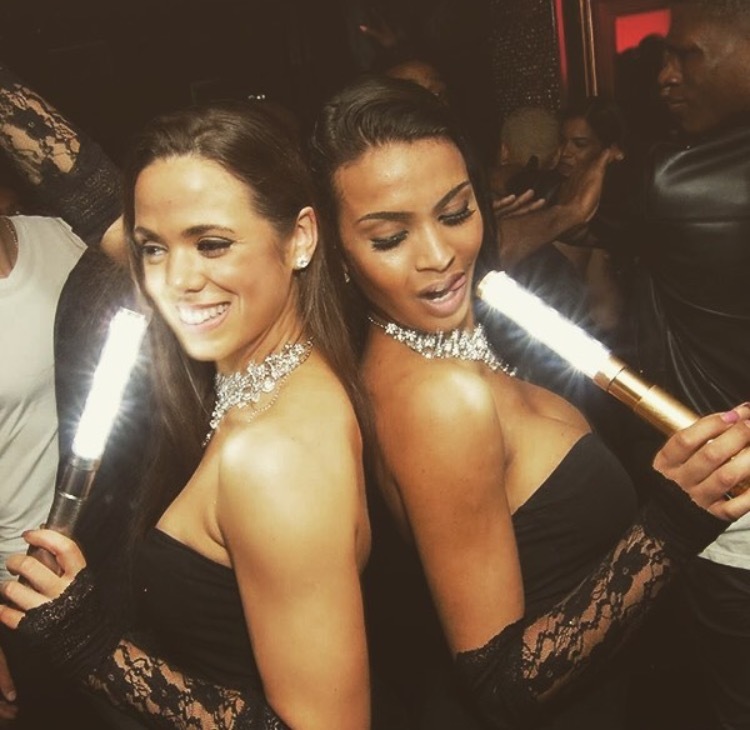 The alternative to champagne bottle service sparklers.These 2 creative designs that were years in the works will surely take your breath away. The ULTRA BRIGHT LED LIGHTS makes this product the ultimate attention grabber just like the standard bottle sparkler does now and MORE!!!. This product has changed bottle service in our industry.. 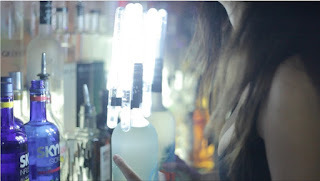 CHECK OUT THIS VIDEO OF THE LED SPARKLER IN ACTION!! Easy to use and they can be re-used every night during your parties! 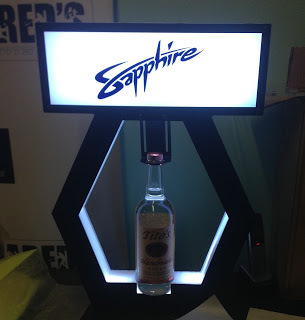 Our LED NITE SPARX is the newest in bottle service entertainment. THE LED BOTTLE BATON or the LED BOTTLE SERVICE TOPPER has change the VIP BOTTLE SERVICE EXPERIENCE! As Great as the sparklers are, they still pose a danger to any venue that uses them. Sparklers release SMOKE, FIRE, and Some release a BAD ODOR that will not sit well with your customers. 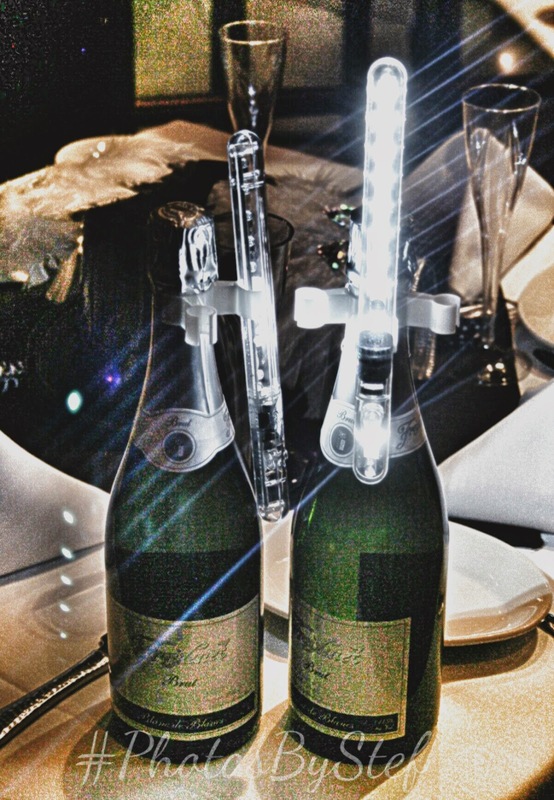 Our Electronic Sparklers and LED Bottle Batons are COMPLETELY LEGAL and pose no threat to your employees and specially your guest. Be one of hundreds of venues worldwide to take advantage of these incredible products. It will be loved by your VIP HOSTESSES and it will also impress your customers. Check out www.nightclubsuppliesusa.com for more info on how to order.